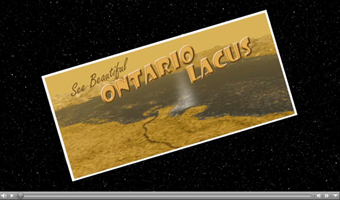 This animation glides along the shoreline of Ontario Lacus, the largest lake on the southern hemisphere of Saturn's moon Titan. 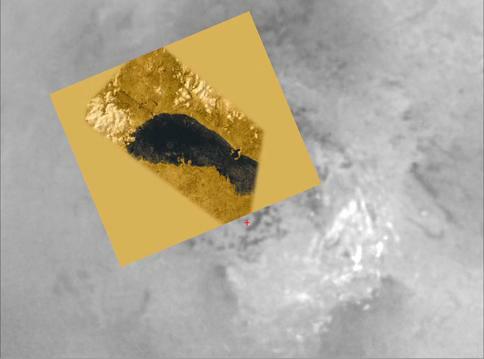 It is based on overlapping radar images obtained by NASA's Cassini spacecraft on June 22, 2009, July 8, 2009 and Jan. 12, 2010. The images were synthesized into stereoscopic images by the Cassini radar team. The northern shoreline features low hills, probably about 1 kilometer (3,000 feet) in altitude, and flooded river valleys. A smooth, wave-sculpted shoreline, like that seen on the southeastern side of Lake Michigan, can be seen at the northeastern part of the lake. The southeast shore features a round-headed bay intruding into the shore. The middle part of the western shoreline shows the first well-developed delta observed on Titan. Topography has been vertically exaggerated by a factor of roughly 10 times. 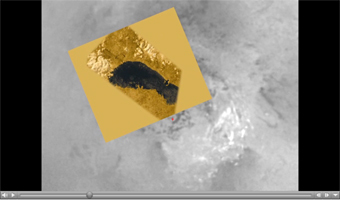 Titan's solid surface and atmosphere are portrayed in shades of brown, approximating their appearance as measured by the descent imager and spectral radiometer on board the Huygens probe, which landed on Titan in 2005. 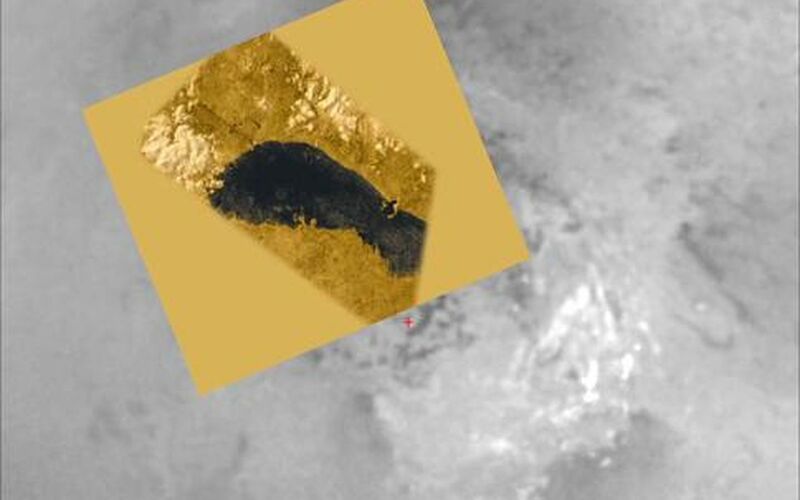 Scientists surmise the liquid methane, ethane and propane in the lake would look black to the human eye, but this is a hypothesis based on the best available data. The sun was placed low on the horizon, at an angle similar to where it was during the Cassini flybys. A voiceover by a Cassini radar team scientist explains the features.